"He recognized me just as I recognized him." Well Go USA has released the official US trailer for Shin-yeon Won's Memoir of a Murder, a serial killer -vs- serial killer thriller from Korea. The totally outlandish but totally Korean plot is about a former serial killer with Alzheimer's who fights to protect his daughter from her psychotic serial killer boyfriend. Yeah, that actually sounds cool, right? The cast includes Sol Kyung-Gu, Kim Nam-Gil, and Kim Seol-Hyun. From the looks of it, this is going to be as fun to watch as it is scary, with serial killers lurking everywhere. I'm actually curious about checking this out, even if the title reminds me a bit too much of Bong Joon-ho's Memories of Murder, which is a fantastic film itself. Check it. Byeong-soo, a retired serial killer, lives a quiet life with his daughter Eun-hee, who has cared for him ever since his Alzheimer’s diagnosis. When Eun-hee brings home her new boyfriend Tae-joo, Byeong-soo realizes Tae-joo is also a serial killer. To save his daughter, Byeong-sop must fight Tae-joo as well as his own mind. 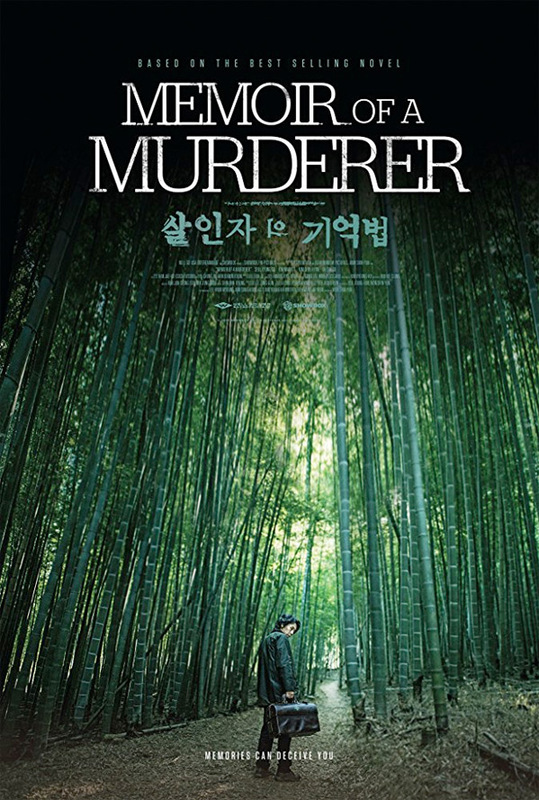 Memoir of a Murder is directed by Korean filmmaker Won Shin-yeon, of the films Scary Hair, A Bloody Aria, Seven Days, and The Suspect previously. The screenplay is written by Jo-yun Hwang, based on Young-ha Kim's novel. This hasn't premiered at any film festivals yet, going straight to theaters soon. Well Go USA will open Memoir of a Murder in select theaters starting September 8th. Who's interested?